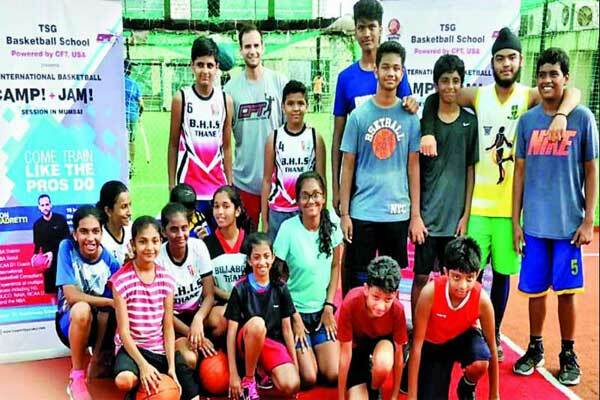 The Sports Gurukul along with the expertise of Coach Jason Benadretti, the founder of the Core Focus Training (CFT) USA has launched the TSG Basketball School in Mumbai’s Andheri area. The TSG basketball school will offer platforms for the budding basket balls players to nurture their talent being a part of the several programmes running for both the grassroot level and at the professional level. NBA India along with Reliance Foundation are launching many programs and clinic in order to grow the sport of basketball in the city. Besides, in order to inspire young basketball players recently, seven-time NBA Championship winner Robert Horry has visited to the city along with some other top NBA players. With the coming together of CFT and TSG, the association will help to grow the sports in the city which is considered as the haven of many basketball leagues. CFT and TSG will work together for the whole grassroots training programs exchanging coaches and from across the country and America in order to pin point fine points of the game of basketball. “For any sport, success starts with the grassroot levels. As those groups start to succeed, you start to move up together and now maybe you had a guy make it to the top level, and more people get motivated. Hopefully this is what the TSG-CFT partnership will do, create some kids who will improve and inspire the nation to step it up to the next level,” Benadretti said. “Basketball in India is in its growth phase. The one thing I noticed is that the kids don’t know what to do, they don’t understand the time you have to put in the game to be great. For example, I have worked with a lot of NBA players and we show them the video of Kobe Bryant and he talks about his work ethics.” he added. Benadretti felt basketball players have to keep patience while learning initially to develop the desire to make big in the sport. “You have to put in the time to get better, once they start learning and they have the desire to improve, like they have for cricket or racquet sports, you will see more and more players moving up through the year,” he added. Paresh Kothari, TSG, Co-founder promises that the association will provide budding basketball players the pathway to success. The Sports Gurukul (TSG) is a sports company that specializes in providing coaching in multiple Sports and Physical Education. TSG coaching programs include, in-school sessions and after school hours coaching activities.